A very special and complex engagement ring, the symbolically entwined design reflects the union of two into one. It has a dual finish with one of the merged bands having a brush finished. The other merged band is polished and, around half its circumference, is pavé set with 40 brilliant cut fine diamonds of total weight 0.40ct. Diamond clarity is VS and colour is F-G (rare white). The inside of the ring is gently rounded for a comfortable fit. This beautiful ring has a depth of 2mm and width (at the widest point) of 6.6mm. Made to order in 18ct white gold, or in platinum 950. Simply stunning. Sample service available. Our usual prices are shown below. Your discount will be displayed in the basket. 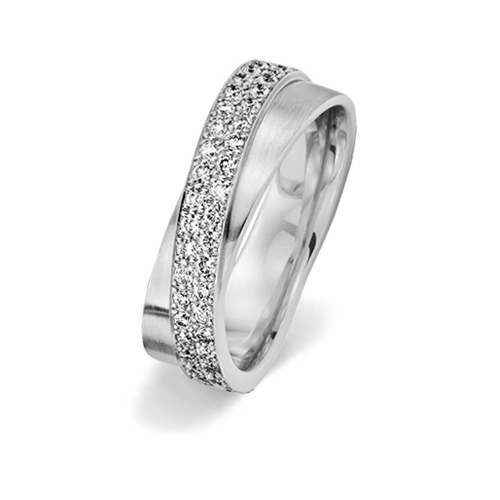 We can post you a non-precious sample of this ring, in a standard size to try on at home. It's a free service, we just ask for a deposit which will be refunded in full once the ring is returned. We will also loan you ring sizers so you can be sure of your size. Please select your approximate ring sizes below and click add to bag. Further rings or samples may be added before you check out. See our Terms and Conditions. Please call us on or complete this form and we will contact you shortly to discuss your requirements. Thank you. 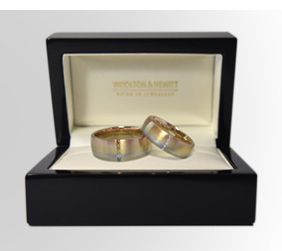 Our rings are presented in a luxurious wooden case with satin lining. Book a viewing in our Hertfordshire shop or a location near you. Most of our collection is available as samples you can try at home. Get the perfect fit with our professional ring sizers. We offer fast secure delivery to most countries. Our rings are made to order just for you. 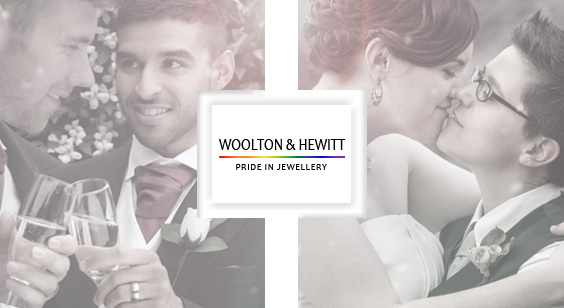 Expert jewellers will fashion each wedding ring and engagement ring, creating exquisite symbols of your love. Engraving adds that personal and romantic touch. Messages of love, names or initials, and significant dates can be inscribed inside the rings you choose.